For newly planted trees dig a hole twice the size of the root ball. Thoroughly mix 1/4 Earthbank fish compost with the removed native soil before planting. 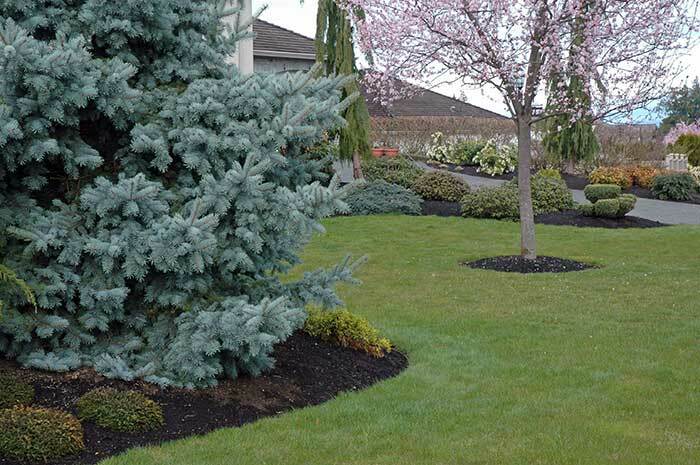 Further as an added boost top dress with a 1 to 2 inch layer of compost mulch around the base of the tree immediately after planting the tree. Water thoroughly and watering should be carefully monitored in the first season until the tree is established especially during dry spells. For smaller existing trees simply top dress 1 to 3 inches of compost around the base of the tree depending the quality of the soil, whether the tree requires heavy feeding, and your objectives. can be anywhere from 2 to several feet wide depending on the size of the tree. Most of the tree’s feeder roots are in this area and are near the surface where the compost is placed. Again, application rates can range from 1 to 3 inches depending on the quality of the soil and the needs of the tree.